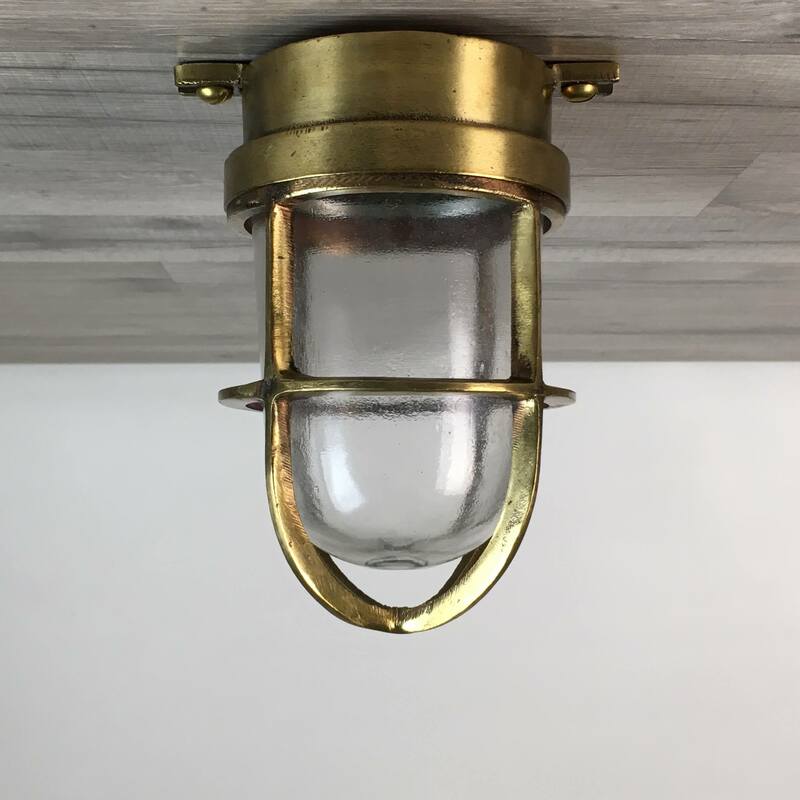 This reclaimed polished brass green nautical ceiling light was fitted with a 8 1/4 inch wide polished brass cover. 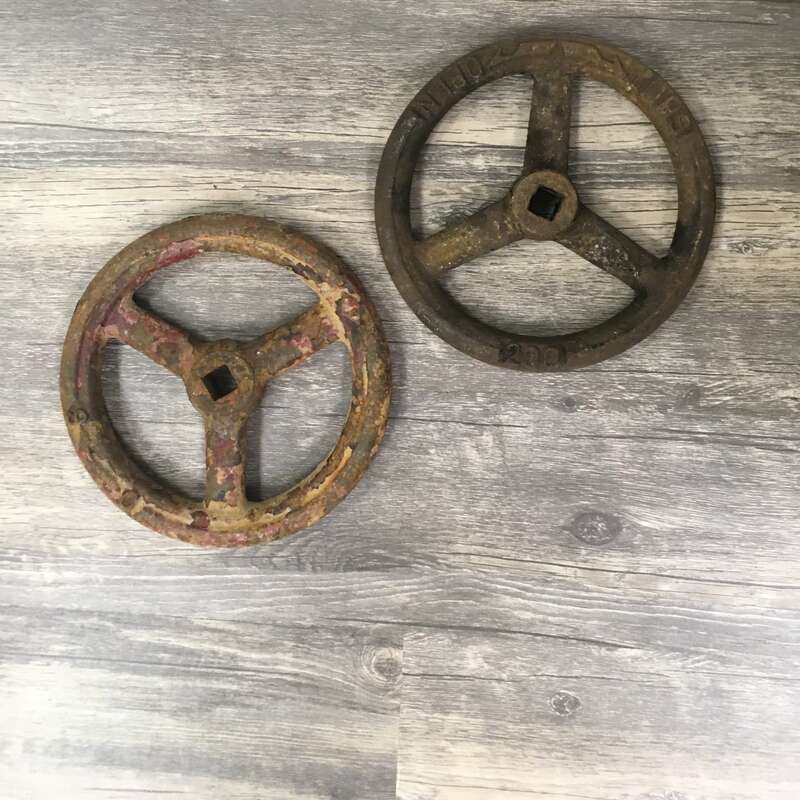 The center hole on the top housing was threaded and a brass down rod was added. The down rod has a 3 1/4 inch ceiling mount plate with three mounting holes. This light will extend down from the ceiling about 14 inches. Total weight is about 4 1/2 pounds. This reclaimed polished brass green pendant light was rewired with UL-Listed wiring and ground wire and bulb holder that is rated for any voltage under 250 volts. The new bulb holder takes a medium base bulb of 60 watts or less. To access the bulb, the deflector cover and glass globe spin off separately.